Physical Interaction Design and Prototyping from Atif Akin on Vimeo. 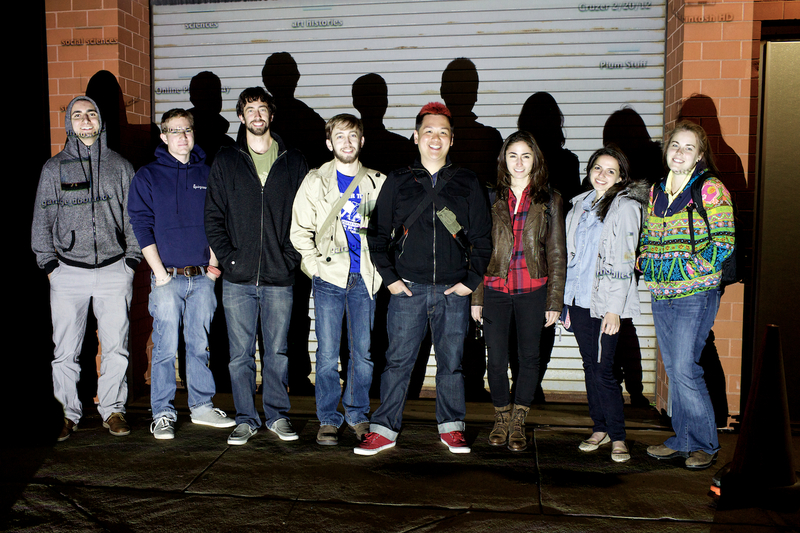 One Day Video Mapping Workshop from Atif Akin on Vimeo. Digital technologies are reaching deeper into the physical world, opening up new ways for people to interact with their surroundings, say researchers at MIT’s Media Lab. During the fifth and final unit of the course we’ll work on physical interfaces and digitally controlled or programmed products. For the mock up and other fun experimentations you’ll need to have your own board. The prototyping board is a must have unless you don’t want to build your own. The type of board that we need is Arduino UNO. Apart form the board we will need breadboards, jumper wires, LED’s, sensors and various other junk depending on your ideas. Some of these junk is available in our studio but you will need to have your own supplementary materials. I suggest that you buy a kit which inludes: the board, USB cable, jumper wires, resistors, LED’s, switches and couple of sensors. One another option is to check some Radiohack stores. I know a few of them carries it. Or, you can always ask to friends who took Design 3A in last fall semester. First clean up your unnecessary files on your account and see Shane to empty the trash can. If you still need more space, or the After Effects is so slow when you are trying to work on the footage. 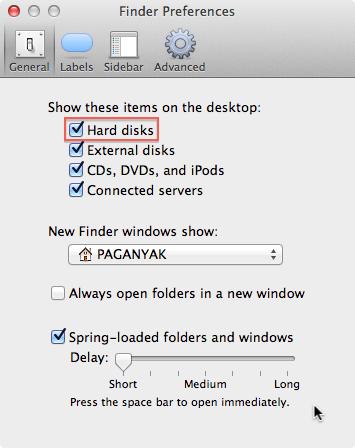 Go to ‘Finder’ preferences and check the ‘Hard disks’ on the ‘General’ tab. Then go to ‘Desktop’ and click on the ‘Macintosh HD’ and start using the local disk folder which is marked red. Keep in mind that’s a large but a local disc. You should stick to that computer for those files.